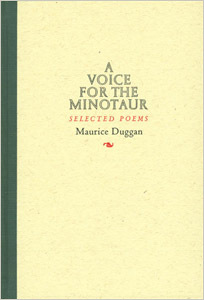 Maurice Duggan (1922-74) was one of New Zealand finest short story writers, author of Immanuel’s Land (1956), Summer in the Gravel Pit (1965) and O’Leary’s Orchard and other stories (1970). 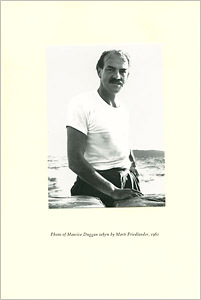 His Collected Stories, edited by C.K. 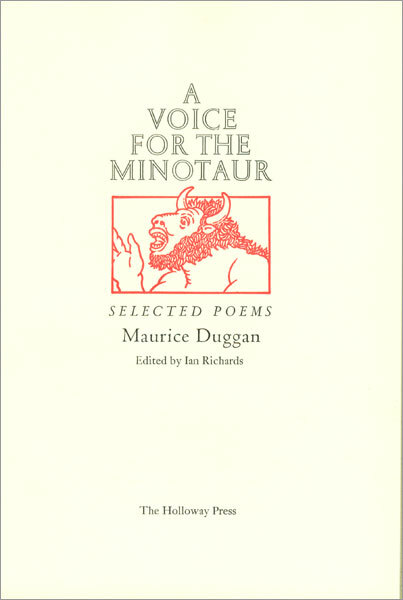 Stead, was published by Auckland University Press in 1981. 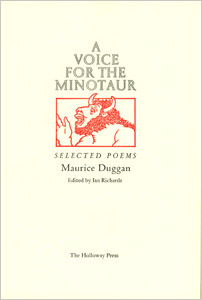 Duggan occasionally published poems in Mate, the NZ Listener, and Islands but a collection, though planned under the present title, was not published in his lifetime. 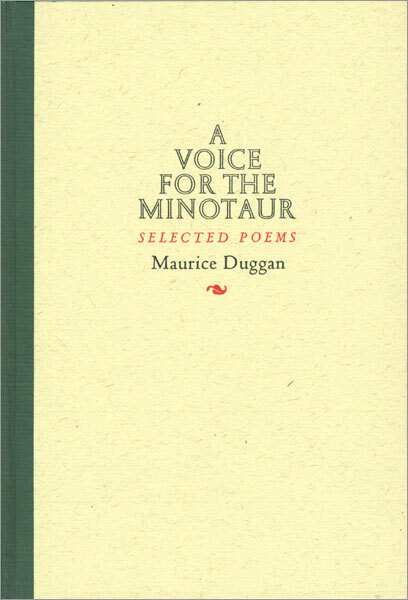 This selection consists of poems written during the last 20 years of his life and has been edited by Duggan’s biographer Ian Richards, author of To Bed At Noon: The Life and Art of Maurice Duggan (AUP, 1997). The book has been designed, hand-printed and bound by Tara McLeod and includes an unpublished 1961 photograph of Duggan by Marti Friedlander. There are 150 copies. Price $100.